Owing to the rather ridiculous price of a movie ticket here in New Zealand, we have not seen the big screen for many months now. We were, however, on the lookout for that movie that will finally tempt us to fork over some hard-earned cash for two hours of cinema fun. And it was a rather difficult past few months as sci-fi films kept rolling in. Wolverine, Star Trek, Terminator, Dragonball for Jo-Lo... still, we contented ourselves with other pursuits. Until last weekend, that is, when we saw ourselves staring at the latest Harry Potter poster at Reading Cinemas in Porirua. We asked how much it will be for the three of us, paid via eftpos, and excitedly hurried on inside. The seats here are wider than what we have in the Philippines but I am happy to report that other than that, our cinemas are just as comfy and stylish. Oh how I miss Wendy's iced tea and burgers and also Burger King at Glorietta 4! Anyway, The cinema was only around 15% occupied when we entered (it was a 12:30PM screening) and only a few people were added to the crowd by the time the movie started. I'm not sure whether this is due to the cost of the ticket or simply because there just isnt a lot of people really in New Zealand, or we have already gone past the Harry Potter frenzy. Anyway, I guess it was enjoyable that way because at least we had a full view of the screen before us. We thoroughly enjoyed the film! It looks like the franchise keeps getting improved as the film progresses through the books. I guess by this time most people have already seen the movie so I will no longer make a review but suffice to say that we enjoyed the film very much! What is my favorite segment in this film? I'd say the part where Prof. Dumbledore drove off the ghouls back into their watery grave with a fire spell. That was awesome! And my biggest letdown? I was expecting a big showdown at the latter part of the movie when the Death Eaters invaded Hogwarts. It was such an action-packed scene in the book that I was looking forward to seeing how this would be translated in film. Sadly, it was substantially toned down. It was an enjoyable film nonetheless. 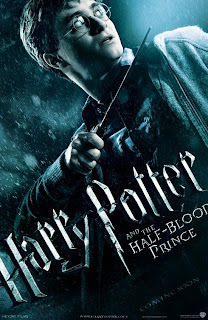 So what is my favorite Harry Potter film so far? Well, I would say it's still The Prisoner of Azkaban. I loved the cut scenes and the way the time travel treatment was done. Mr. Alfonso Cuarón did a wonderful job at it. 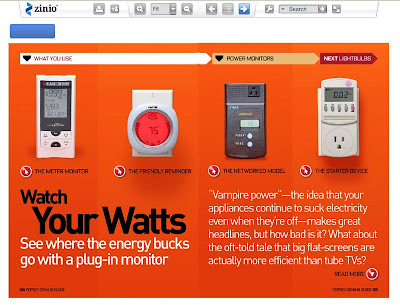 I rarely write about magazines I read, but I had so much fun reading this that I had to share it with you. 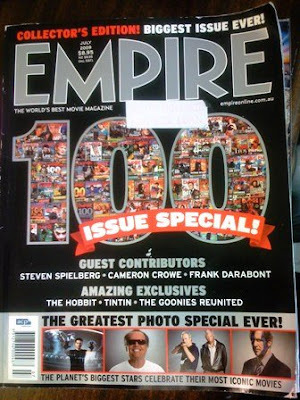 The Empire Magazine's July 2009 100 Issue Special - the biggest issue ever - contained a host of articles that I loved. First off is the Goonies Special. You know, the 80s movie about a bunch of kids who called themselves the Goonies? Well, that movie is now 24 years old! Imagine that. I can still remember when it was being shown in Baguio City's Session Theater in the Philippines. A huge speaker system was set-up outside the cinema and it played Cyndi Lauper's "Goonies 'R' Good Enough". Actually, I was able to watch the movie years later through VHS but it was indeed a fun and very memorable film! And it was great reading up on what the cast was up to and get into the conversation they had at the reunion. And then there was the Empire 100th issue Portfolio: photos of big name stars doing a pose based on a film they had become connected with. There was John Hopkins and Jodie Foster for Silence of the Lambs, Sam Neill for Jurassic Park, Daniel Radcliffe, Emma Watson, and Rupert Grint for Harry Potter, and Laurence Fishburne for The Matrix, to name a few. Hey, how come there's no Star Wars? There is a timeline of Empire covers, though, and quite a number were Star Wars covers! It was also great seeing Zoolander do his famous Blue Steel look! That was in 2001, a memorable movie because my wife was having Jo-Lo then and we loved watching this movie over and over. And then there was this countdown for 100 Things that Rocked Empire's World. That was awesome! 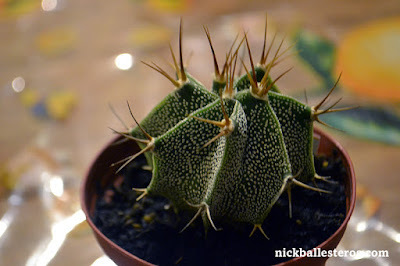 Did I mention it's chock full of interesting stuff? Grab a copy... buy it, borrow it, read it. Awesome work. Watch The Goonies Anniversary Reunion on YouTube! Recycling electronic waste (e-waste) enables the recovery and reuse of valuable materials and ensures toxic materials are not buried in our landfills - so it's better for our environment. eDay is a cars-only drive-through recycling event which gives you the opportunity to recycle old computers or mobile phones in an environmentally sustainable way. Over 16,550 cars dropped off 87,056 items during eDay 2008. A total of 946 tonnes of e-waste was diverted from our landfills. This year we hope to divert over 1,000 tonnes of e-waste from New Zealand landfills. eDay 2009 is to be held on Saturday 12th September 2009.
eDay is seeking volunteer assistance to make eDay 09 possible in Wellington. For now, eDay is the most sustainable approach to collecting, rehoming and safely salvaging from what is otherwise the fastest growing waste stream in our landfills. If you have time to give on the 12 September, please contact Lucie and Mike. The day promises to be rewarding, fun and based on previous experience, a little bit frantic! In order to run it though, eDay needs volunteer support. Also, please ask around and invite others who may be interested in helping. It can be more fun doing this with people you know and groups are welcome! Do you want to do your bit towards conserving energy and helping out in staving global warming? 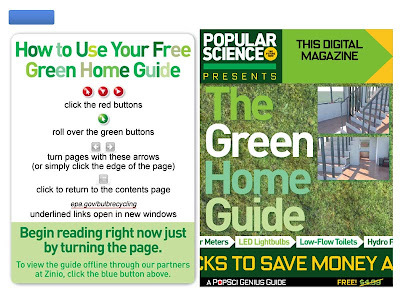 Here's a guide to help you at with what you can do at home: The Green Home Guide by Popular Science. Simply share your name and email address, and then you can have access to the Guide for free! And what better news is there? 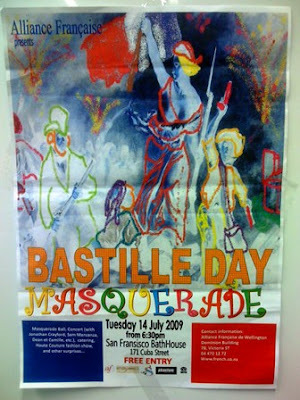 To celebrate France's National Holiday here in New Zealand, there are activities planned on that day by The Alliance Française de Wellington for Auckland and New Zealand. I saw a poster of this event yesterday as I was heading for home. This event is scheduled for tomorrow. I want to goooo!!! There is a crafts and food stall at the fair, and that is where I want to be. On Saturday 11 July Wellingtonians will get a chance to celebrate Japanese culture at the inaugural Japan Festival of Wellington featuring food stalls, local and overseas performers, fashion shows, children’s entertainment and competitions. Bring along family or friends and relax in the tranquil ambience of the age-old Japanese tea ceremony, try your hand at writing a haiku poem or take part in a competition to roll New Zealand’s longest sushi. Looks like a wonderful Festival. And as with most things Japanese, I expect that this will be a fun, colorful, and memorable event. kawaii! Visit Asia:NZ for more information. Before we left the country last year, I was keen on what had been happening over the forested area at the Convention Center in Baguio City, the Philippines. As I have mentioned before, the pine trees were planted there when I was around Grade 2. I saw the trees grow and the area become a desolate piece of land into a place rich with life and reflects what Baguio City is all about - a city of Pines. That lot was threatened to developments by GSIS and SM. I learned recently that it still is being fought for. Frankly, we do not need any more large-scale construction in Baguio City. Last year, look to your left and right and you will see construction everywhere. More concrete is being planted than trees. And it was trees and the idyllic atmosphere that made Baguio famous in the first place. Sure, development is great, but at the rate it is happening in Baguio, it is not development at all. Where before you can walk around freely and the city sleeps at 8 and the scent of trees are all over, you now have humongous traffic jams, pollution, overpopulation, and increased crime rate. And frankly, if a residential/condominium space is built on that area, I will tell all my friends and ask them to tell their friends to NEVER patronize the place because it was built on fallen trees for the sake of moneymaking. Same goes to that SM Baguio. Many trees were felled on that area and they fooled the people by saying a resort was going to be built there, only to reveal later on that it was going to be a mall. Sure, it gave us updated movie screenings but what else is there? We've lost the trees there and the land they grew on, and we can no longer get it back. Do we want to lose more land and trees? Do Filipino children still play them? Or are they now part of the past that is slowly being forgotten and is fading from Philippine society's consciousness? For the first time here in New Zealand, at the Fiesta sa Wellington (Labour Weekend Filipino Reunion 2009), you will have the opportunity to play the games lolo and lola played. Anybody can play – the young or the young once. All you need to do is show up at the Horticultural Centre, Lower Hutt, Wellington on the 24th of October, 10:00am, register at the booth and you are ready to play. And of course, prizes will be awarded to winners! So, bring your family along, join the games and have fun.